Maurice Kozak has been known for many decades as a top million dollar producer and has been recognized as one of the most prestigious Luxury Real Estate Agents since 1981. 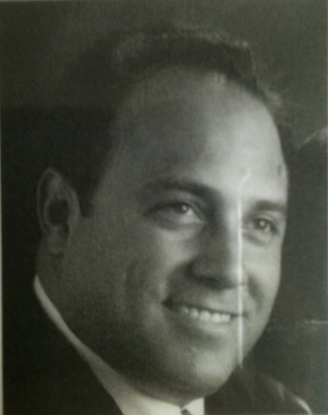 Being known for his outstanding business skills and countless years of success in his market and firm, Maurice was recognized as Top Producer in 1997 of the Encino Branch of Fred Sands Estates after 16 years of successful business leadership in his profession and has since then remained among the top producing agents of the San Fernando Valley every consecutive year. After taking over Residential Company Rich Gold Residential Inc. as CEO in 1983 and developing a contracting firm for Residential Estates, Maurice has sought to win the respect of countless businessmen and clients whom he has remained strong allies with for decades of strong business effort and communication. From there on, Maurice went to becoming The Head REO Officer of the American Real Estate Group in Irvine, CA in 1985, and the REO Officer of both California Federal Savings and Loan, Redwood Bank based in San Francisco, CA, and the Bank of Beverly Hills. In 1988, he became President of Kozak Commercial, Inc.
Additionally, he achieved one of the first short sale residential transactions in 1995, at City National Bank in Encino, CA. In one of the biggest events of his career, Maurice created a complete ground up subdivision of tract homes in Reseda, CA known as Topeka Country Estates, and committed a complete sale of the Residential Homes he built along with his father Developer Sol Kozak. For those reasons, he has been praised for his dedication and experience in his profession, after his talent for creating countless business relationships with builders, banks, and management firms. In general, Maurice has been most recognized for his decade long history of earned achievement. He has remained in the top 10% of sales producers for the past 30 years. Since working for Coldwell Banker Residential Brokerage in 2000 and Prudential California Properties in 2010, he has earned countless awards for The International President’s Elite and President's’ Circle consecutively and is proud to be a salesmen who has earned the continued respect of all people that he has associated with in his long-term profession. He has given lectures to many branches of Real Estate for local news, and has been active in donation and charity to his local religious congregations and to multiple education charities for his passion to satisfy all around him. We at Berkshire Hathaway HomeServices proudly welcome Maurice H. Kozak to our corporation and honor to have him among our most diligent Agents and Producers for our firm as we believe that his attitude and production toward your obligation will be a definite to exceed expectations and be sure to satisfy your goals.